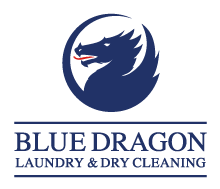 Blue Dragon Laundry has nearly a century of experience in providing both laundry and contract dry cleaning services to the Hotel, Restaurant and Hospitality industries. We are able to supply either a dedicated linen rental service or we can service customers own goods. We know that first impressions are lasting impressions. Your customers need to be comfortable and happy during their stay, and our service needs to fit your busy schedule. We can source linen in an array of fabrics, which vary in softness, density and weight. Blue Dragon has been supplying a full linen rental service to hotels and hospitality businesses for nearly a century. 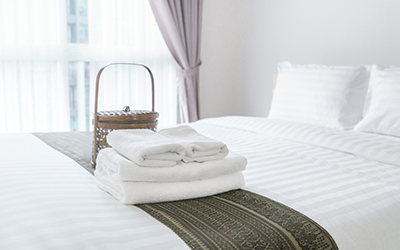 We supply a range of linens and towelling for rooms and F&B. Call us for a quote. Create a memorable dining experience for your guests by creating a beautiful clean setting. 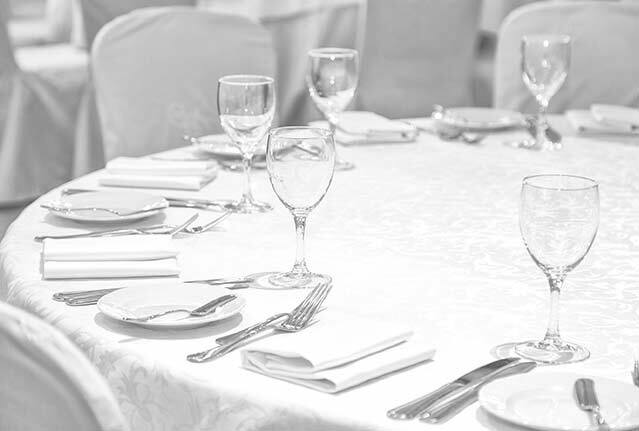 Your service, food and dining experience will be enhanced by a table setting that has been professionally laundered and perfectly presented. We can supply you with a tailored service, that fits your individual restaurant needs.